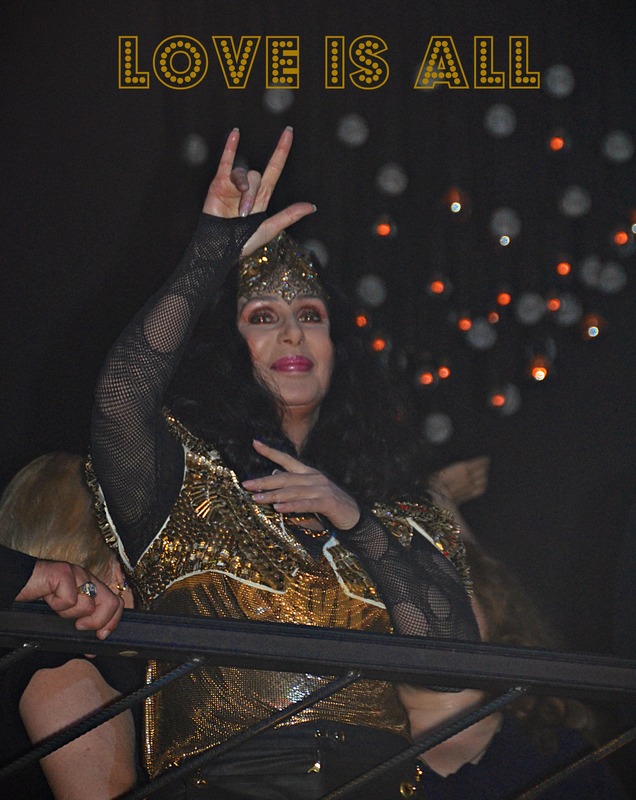 Photo of the day: LOVE IS ALL, ALL IS LOVE – CHER keeps that mantra all the time. It is so relevant this Gay Pride weekend when America has finally said you can marry whom you wish and share equal rights. Cher is love. Love is all. This entry was posted on June 29, 2013 by newyorkcityinthewitofaneye. It was filed under DAILY PHOTOS WITH STORIES OF NEW YORK CITY and was tagged with celebrities, Cher, Cher gives sign of love, entertainment, Gay Pride weekend, Hans Von Rittern, Manhattan, Marquee Dance Club, new album, New York City, New York photo, Nightclub, Photo of the day.